A new cycle and pedestrian bridge that will better link key employment sites in Nottingham with public transport was lifted into place over the Bank Holiday weekend. 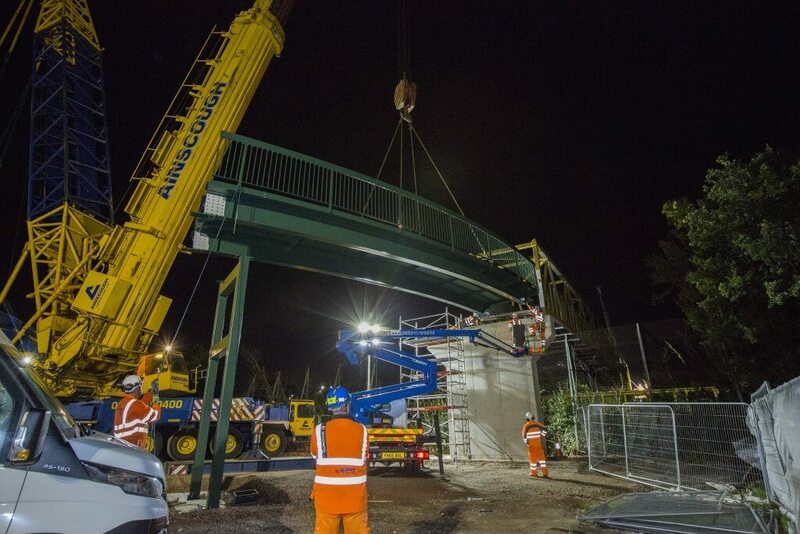 The installation of the 50-metre bridge over the Midland Mainline railway marks a major milestone in a £6m project to expand the city’s growing cycling and walking network. 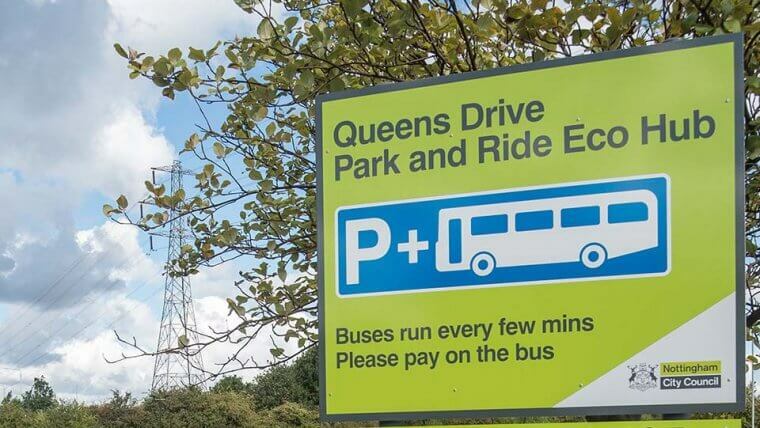 In October 2016 Nottingham City Council was awarded the funding from the D2N2 Local Enterprise Partnership to upgrade pedestrian and cycle links to connect the Boots site of the Nottingham Enterprise Zone directly with Nottingham Science Park and University Boulevard, offering access to tram and bus services. 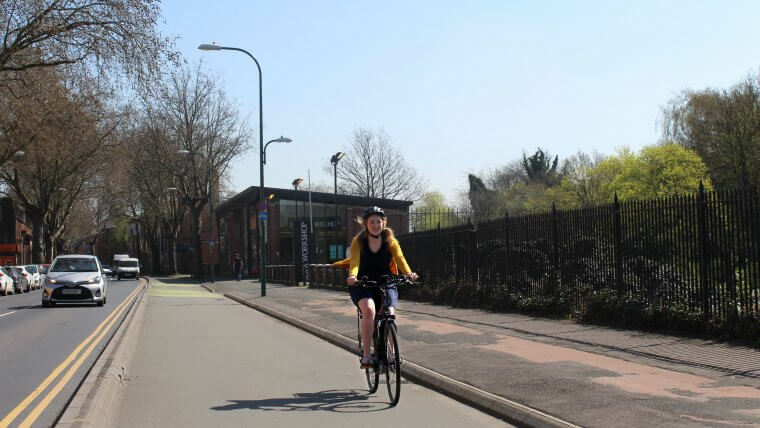 It will also improve access to the University of Nottingham and the Queen’s Medical Centre, and the Western Cycle Corridor, as well as providing access to new housing. 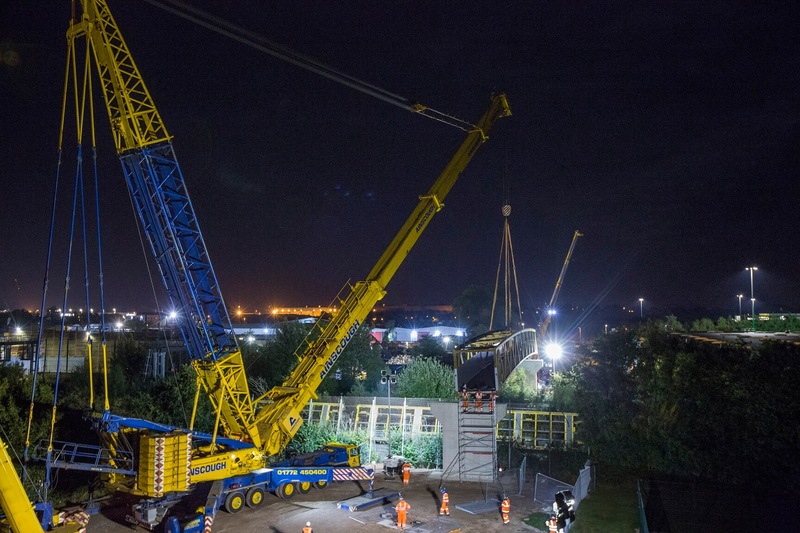 Construction firm Eurovia used a local company to build the bridge offsite before installing it over six hours in the early hours of Sunday 26 August to minimise disruption to rail services. Built of treated steel to reduce maintenance costs, it was lifted into place using one of the largest cranes in the country. Councillor Dave Liversidge, Nottingham City Council’s Portfolio Holder for Transport, said: “It’s exciting to see the bridge in place. Improved pedestrian and cycle links are important to unlocking the full potential of the Nottingham Enterprise Zone, and this is a key milestone in a scheme to better connect our growing cycle network with Nottingham city centre. 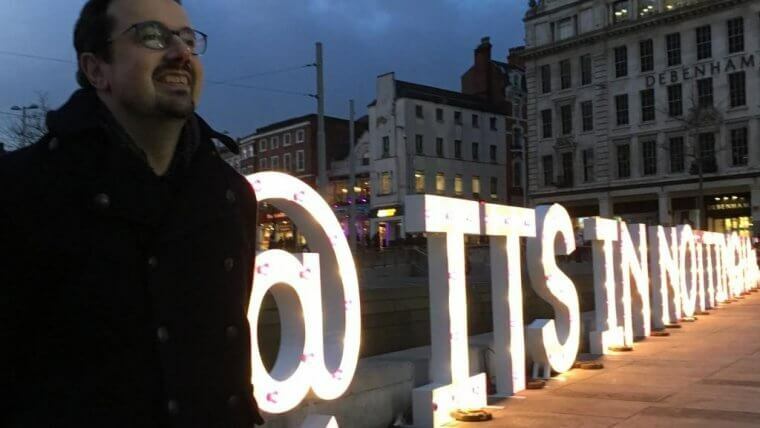 “Providing wider options for travel, making it easier for people to cycle and use public transport, is all part of our plan to keep Nottingham moving and ultimately reduce congestion on our roads. The bridge will be reached by a footpath and cycleway off University Boulevard, along a new road between the tennis centre and land earmarked for future science park developments. After crossing the mainline, the path will follow around the Boots site and connect with Thane Road and the Beeston canal. Director of the Nottingham Enterprise Zone at Boots, Mark Chivers, said: “With thousands of people accessing the Boots site every day, the new cycle and pedestrian bridge will create a whole new way for people to get into work and access the site and Enterprise Zone by extending a link to the tram and bus services from Nottingham University Tram stop. Eurovia will continue to build the ramps and associated paths ahead of the full path opening early next year. Find out more about Nottingham Enterprise Zone.